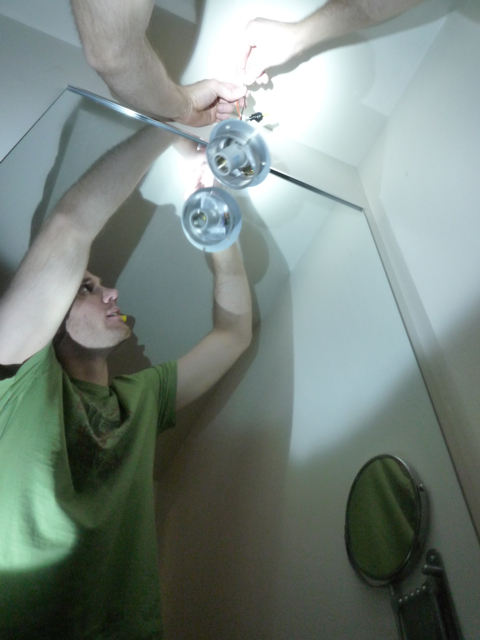 You may have noticed some new lighting in the finished bathroom post. 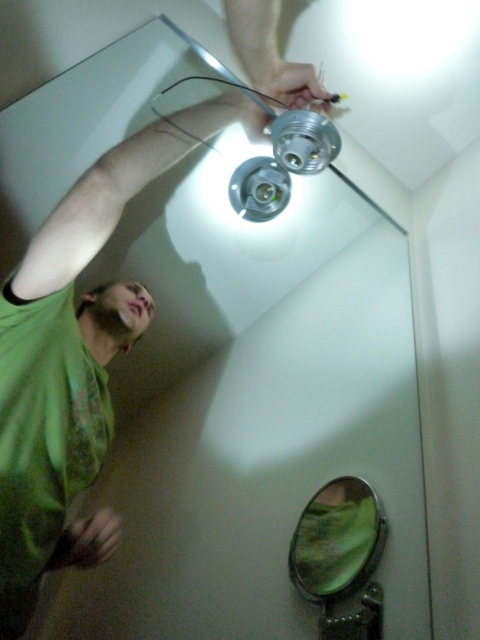 Thanks to The Expert, Peter has recently become quite proficient in wiring lighting. 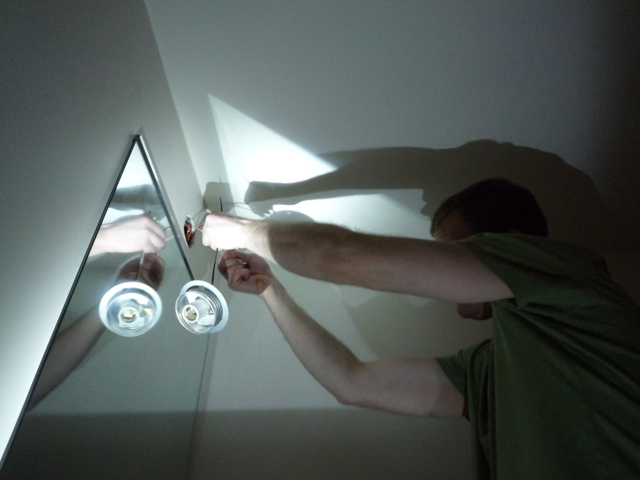 If you're really up for a challenge, which we are, the best time to wire lighting is after dark. Once you turn the off the power source. 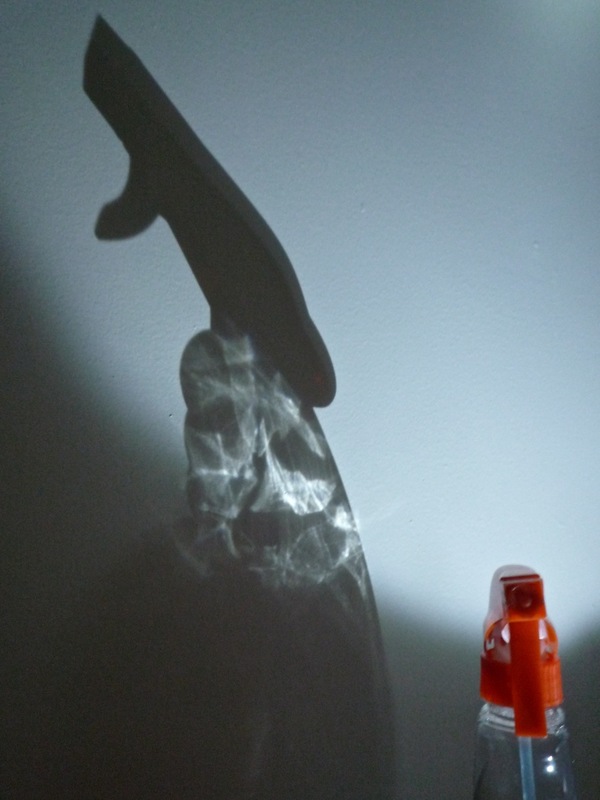 Spray bottle spookiness. I'm so awesome.